USDCAD is in consolidation for the downtrend from 1.3467. Range trading between 1.3286 and 1.3390 would likely be seen in the coming days. 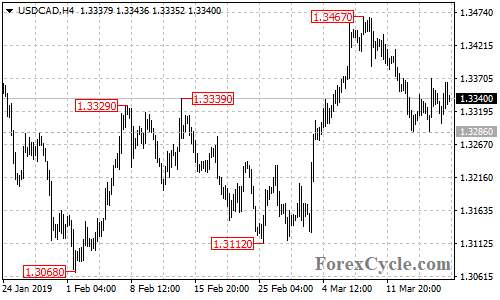 Resistance is at 1.3390, as long as this level holds, the downtrend could be expected to resume and further decline to 1.3050 area is possible after the consolidation. Only a break of 1.3390 resistance could signal completion of the downtrend.